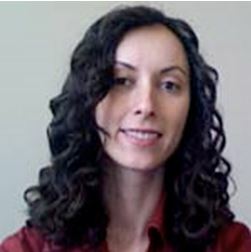 Dr. Adelina Voutchkova is an Assistant Professor of Chemistry at George Washington University, Department of Chemistry. Dr. Voutchkova has substantial experience in the areas of molecular design, toxicology and green chemistry. Her work aims at developing rational guidelines for the design of industrial chemicals that are acutely and chronically safe to a variety of aquatic families of species, including fish, crustaceans and algae. Specific projects include the development of product design guidelines for chronic mammalian toxicity and the utilization of spectroscopic data to inform safer molecular design, with specific interests in minimizing skin sensitization from personal care products.